It’s after Thanksgiving so it’s time for AGGRESSIVE HOLIDAY MUSIC (not that I haven’t been listening to it since before Turkey Day. I do what I want.) I thought I’d create a little hall-decking song playlist for you to enjoy, but that turned out to be a lot harder than I anticipated. So many questions started swirling around in my head. For instance, do folks who celebrate Christmas want to listen to Chanukah music, or is that just me? Do folks who celebrate Chanukah want to listen to Christmas music, or are they sick of having to? Am I the only person who wants a nice holiday mix to jam to while I celebrate my own traditions? Personally, I love everything. Old-timey Christmas songs, religious songs, silly songs, Chanukah songs, snowman death metal, straight up aggressive sleigh bell ringing. Everything. Except that one Adam Sandler song, ’cause I think it’s stupid and he gets paid too much for acting stupid. Anyway, how about you? What are your favorite holidays tunes? Do you like a mix, do you stick to one holiday genre, or do you eschew holiday music altogether like a big ol’ Scrooge McGrinchypants? 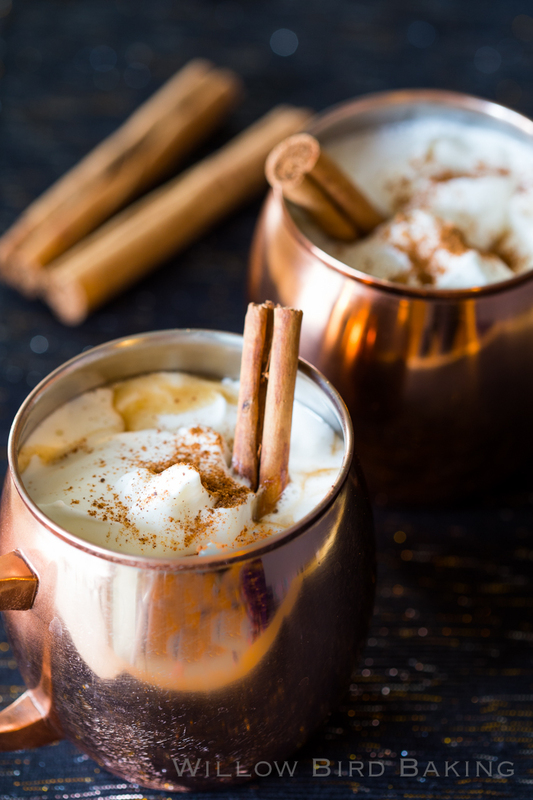 Hot Buttered Rum is a warm, spicy, cozy cocktail to go along with your festive tunes. This recipe packs a rum punch, but balances it with dark brown sugar and fluffy whipped cream. Since butter is the star of the show, I used my favorite European-style Plugrá Butter, which has a higher butterfat content than most grocery store butters for a richer, tastier treat. 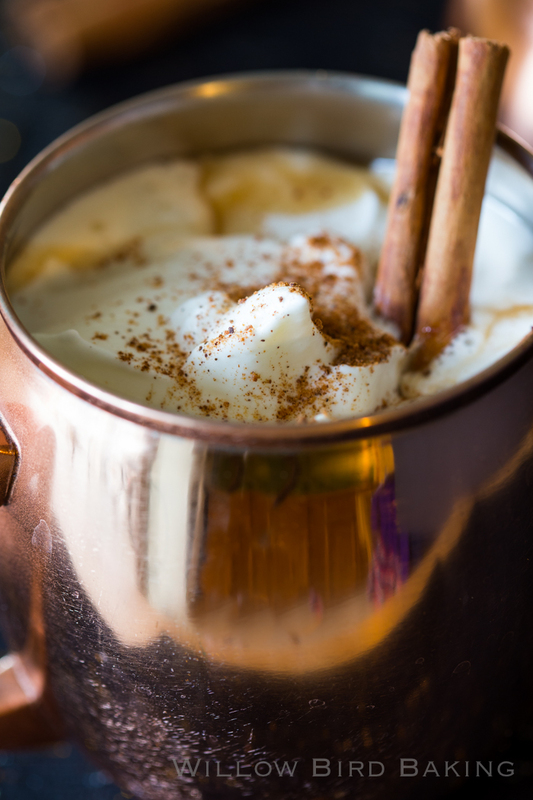 This hot buttered rum recipe packs a warm, spicy, festive punch. 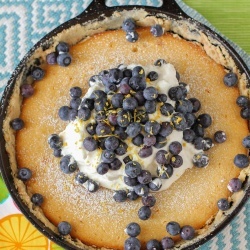 It's sweet, buttery, rich, and creamy. I like to mix my whipped cream into the hot drink just before drinking. This recipe makes four 1/2-cup servings for small mugs, or two servings for larger mugs. If you're not sure how much to make, it can't hurt to double the recipe, right? In the chilled bowl of an electric mixer, beat the heavy whipping cream and powdered sugar together to stiff peaks. Set this in the fridge. In a heavy saucepan over medium-high heat, bring the water, butter, brown sugar, cinnamon, cloves, nutmeg, and salt to a boil. Reduce the heat and let the mixture simmer for 10 minutes, whisking occasionally. Remove from the heat and stir in the vanilla extract and spiced rum. Pour into mugs and top with whipped cream, a sprinkle of nutmeg, and a cinnamon stick. Serve immediately. What a great looking boozy holiday drink. I love those mugs too 🙂 Plus Plugra is the best! Cue Christmas music and a roaring fire. 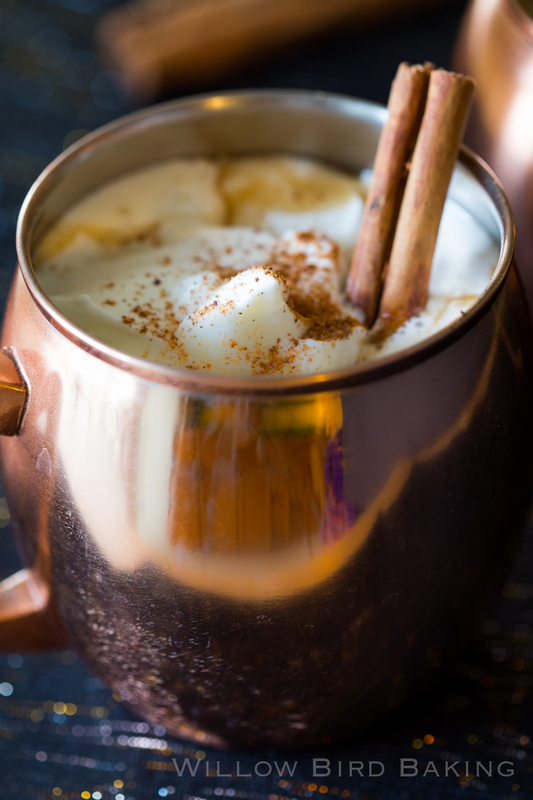 This boozy hot buttered rum is a perfect way to celebrate the season. I’d love to curl up with some of this today! I always try to hols off until after Thanksgiving to turn up the Christmas music, but then it is go time. ALL day, every day no matter what I’m doing. And even though it is only am, that hot buttered rum sounds SO good!! This screams winter! 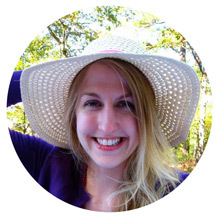 Love the gorgeous photos! I love them all! Listening to everything makes it just feel more like the holiday season…like this drink. Oh my, I could use it right now! When it comes to Christmas music, I tend to be more along the lines of a traditionalist… I wait until after Thanksgiving to start playing any sort of holiday songs, and I love the classics more than the new age/pop star tunes! I guess that’s the old person in me shining through. 😉 I think that sitting next to the fire with a big cup of this with Christmas carols playing in the background would be perfect! Hot buttered rum is seriously the best, I could drink it all winter long not just during the holidays!